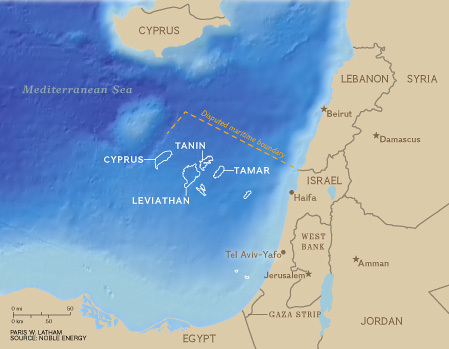 Natural gas from the offshore Tamar field was pumped to Israeli shores for the first time Saturday, four years after its discovery, in preparation for its first use in the Israeli energy market — a move that could transform the Israeli economy. On Saturday, hailed an “important day for the Israeli economy” by Prime Minister Benjamin Netanyahu, natural gas from the field was being pumped to a newly erected facility on the coast of Ashdod, connected to the gas field via pipelines laid out on the ocean floor, 150 kilometers long and 16 inches wide. Commenting on the historic development, Netanyahu drew a link between the event and the holiday of Passover. “On the festival of freedom, we are taking an important step toward energy independence. We have advanced the natural gas sector in Israel over the last decade, which will be good for the Israeli economy and for all Israelis,” Netanyahu said. The Economist has been pretty reliable about beating the climate-alarmist drum for years on end now, often peddling the urgent need for an overarching global climate treaty to combat the threat. In a piece this week, however, the British publication took a much more moderate approach and hashed out some of the different studies suggesting that the planet actually might not be quite as sensitive to changes in carbon dioxide levels as the global-warming scaremongers have long been insisting. For most people the CO2 driven theory of climate change would be falsified. For others who dream of all the new taxes they can levy on others, not so much so. Life never waits on the weary … And Democrats who want to get in shots at Republicans. 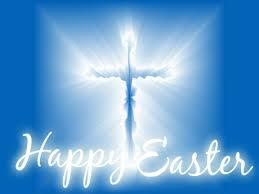 Easter Sunday is not a day of rest for the Democrats’ moneychangers. At least three top party officials dispatched fundraising emails Sunday in their bid to reach loyal Democrats in between church and Easter dinner. It’s just the latest sign that politics and fundraising have become as regular as shopping at Sears or Walmart, which also open on Easter. The Democratic Congressional Campaign Committee Sunday morning sent out an updated fundraising note from House Minority Leader Nancy Pelosi that didn’t even mention Easter. “We could really do this! If we can hit 200,000 donations before tonight’s FEC deadline, it would send a blistering message to Speaker Boehner and the Republicans. Donate $3 before MIDNIGHT and your gift will be triple-matched,” said the email. Even with one of the largest hurdles to an immigration overhaul overcome, lawmakers on Sunday cautioned much work remains and that no final deal has been reached. The AFL-CIO and the pro-business U.S. Chamber of Commerce reached a deal late Friday that would allow tens of thousands of low-skill workers into the country to fill jobs in construction, restaurants and hotels. Yet despite the unusual agreement between the two powerful lobbying groups, lawmakers from both parties tried to curb expectations that the negotiations were finished and an immigration bill was heading for a vote. “Reports that the bipartisan group of eight senators have agreed on a legislative proposal are premature,” said Sen. Marco Rubio, a Florida Republican who is among the lawmakers working on legislation. Rubio, a Cuban-American who is weighing a presidential bid in 2016, is a leading figure inside his party. Lawmakers will be closely watching any deal for his approval and his skepticism about the process did little to encourage optimism. “Eight senators from seven states have worked on this bill to serve as a starting point for discussion about fixing our broken immigration system,” Rubio said. Michigan’s controversial right-to-work legislation went into effect Thursday night amid last minute contract maneuvers by teachers unions and a number of protests around the state that appeared to have a very weak turnout. The law stops the practice of forcing workers to pay union dues. Right-to-work was passed in December by the state’s Republican legislature and signed into law by Republican Governor Rick Synder. Unions and Democrat politicians have waged a public battle against right-to-work legislation, which they fear will significantly hamper union political power. As reported previously on Breitbart News, many teachers unions across Michigan have tried to keep money flowing into union coffers as long as possible by negotiating long term, last minute contracts that extend requirements to pay unions dues or fines for non-membership. In the days just prior to the new law going into effect, a number of unions across the state chose this tactic. North Korea muscle flexing antics, moving into downward spiral. Remember the original Korean War was a UN peacekeeping operation. “From this time on, the North-South relations will be entering the state of war and all issues raised between the North and the South will be handled accordingly,” a special statement by the country’s top military command reads, according to the KCNA state news agency. “The situation in the Korean Peninsula, which is neither peace nor war, has come to an end,” the statement says. However, technically, the two Koreas are still in state of war since a peace treaty after the 1950-53 conflict had never been signed. Washington “should be clear that in era of Marshal Kim Jong-un, the greatest-ever commander, all things are different from the past,” went a statement on North Korean radio early Saturday. Meanwhile the White House is taking the fresh North Korean threats seriously, but not without a bit of skepticism. “But, we would also note that North Korea has a long history of bellicose rhetoric and threats and today’s announcement follows that familiar pattern,” Hayden added. Yes but that was before they demonstrated they had the BOMB! You are currently browsing the Tarpon's Swamp blog archives for March, 2013.